Spiritual healing is God's creation. Spiritual healing can be a healing through the use of static electricity. Static is something like spirit, too. Tapping touch is a simple yet an effective type of spiritual healing and may be the first of its kind that was taught since thousands of years ago. Today, over 2,000 religious sectors and groups are claiming healing techniques, which are mostly business-oriented, but they all share the same concept of tapping touch. The PYRO-ENERGEN is also using the same method that works just like human hands but in electronics way. Millions of people were affected when earthquake, tsunami, and nuclear disasters struck Japan in March 11, 2011. Up to this writing, there are still more than 250,000 youngsters and elderly who are striving to survive and are staying in small evacuation centers or school corridors. Everyone is extremely tired. Sleepless days, stress, fear, stiff neck, high blood pressure, dialysis problems, lack of appetite, economy-class syndrome, bad dreams, stomach troubles, diarrhea, etc. are all caused by hardship in evacuation areas. 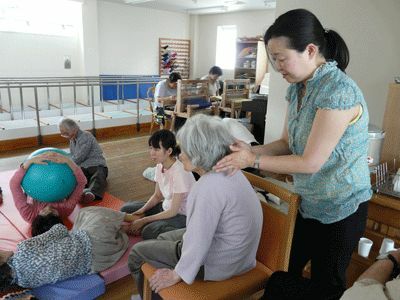 We even heard that over 20 elderly people died because of stress and lack of facilities to support living. More than 2,000 volunteers were gathered from all over Japan. They were sent to evacuation centers to help the 250,000 evacuees to give them even a simple smile and relief. All of them there were treated with tapping touch. The 2,000 volunteers remained at the evacuation centers to continue helping the people there for another week. As you can see from the photos above, all of the people from elderly to young children are being treated with tapping touch. As you know, children can be affected psychologically by environmental changes. Tapping touch shows to be effective when applied to children to give total relaxation of the child's body and mind. How about performing tapping touch among your family every day? Don't you think that doing this will give you the highest health treatment and the cheapest alternative, too? You feel good whenever you hug your loved ones. You feel very fine whenever you kiss your loved one. In fact, we may also consider these as a part of tapping touch. Tapping touch can even make you beautiful. It can reduce your weight, too. In contrast, if you are slim, then tapping touch can help you gain weight. Can you believe and agree to it? Tapping Touch is proven effective through clinical uses and researches. Tapping touch is a form of spiritual healing and as I mentioned previously, many people in different sectors are naming it in various ways. 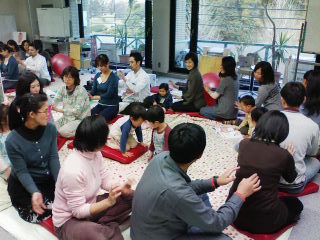 It is considered a holistic-care technique using hand touch with a certain rhythm. It is a technique performed simply by alternately tapping with your left and right fingers. Its gentle tapping helps in releasing tension in your body and mind, and increases your overall sense of wellness, positive feelings and thoughts, and stimulates your nervous system. Tapping touch is now gaining popularity around the world. The PYRO-ENERGEN is probably for higher societies, ha ha! Oh, yes, some schools are including this tapping touch as one of their subject before schooling in the morning. Furthermore, it is applicable and useful in specialized areas such as psychology, education, medicine, nursing and social-welfare. 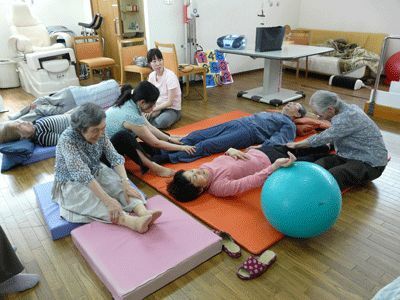 It has been used in disaster relief, trauma care, hospice, bodywork, peace activity, and even for pets and animal care. All you need is to touch any part of your patient's body using just your hands and fingers. Remember though that “tapping touch” may not be effective on serious illnesses. Therefore, you may need the PYRO-ENERGEN machine, or please consult your physician.